Last week, Heraflux was proud to present multiple sessions at this year’s PASS Summit 2016 in Seattle, WA. David Klee presented three sessions at the conference, including one all-day workshop! 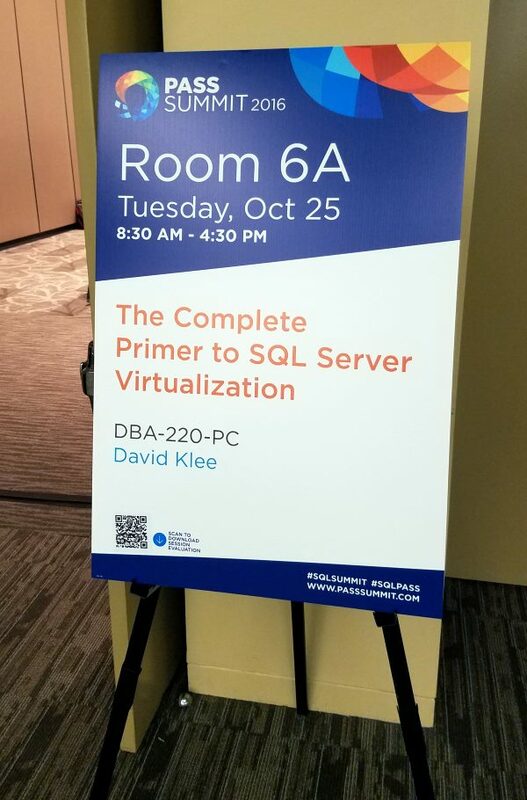 On Tuesday, David presented an all-day training session entitled “The Complete Primer to SQL Server Virtualization” to a full house. 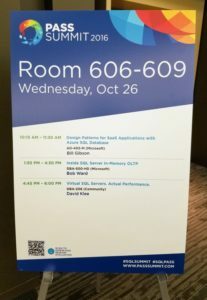 This session covered a soup-to-nuts series of topics for all of the layers underneath the SQL Server databases, including storage, networking and interconnects, physical servers, virtualization, and the VM construction, and discussed critical topics such as performance tuning and availability for SQL Server VMs. Wednesday, David presented a general session entitled “Virtual SQL Servers. Actual Performance” to a packed room of die hard attendees who stayed to the last session of the day. 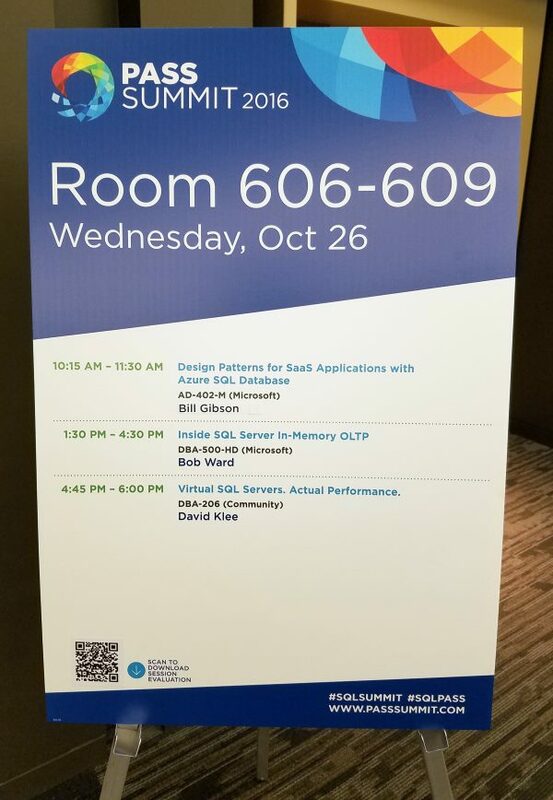 This session was designed to discuss all of the major performance tuning aspects of virtualized SQL Server, and to give the attendees the most information possible for a 1.25 hour presentation. Thursday morning David sat on a panel session with Denny Cherry, Joey D’Antoni, and Geoff Hiten called PASS the Bacon, all sponsored by SIOS and SanDisk. 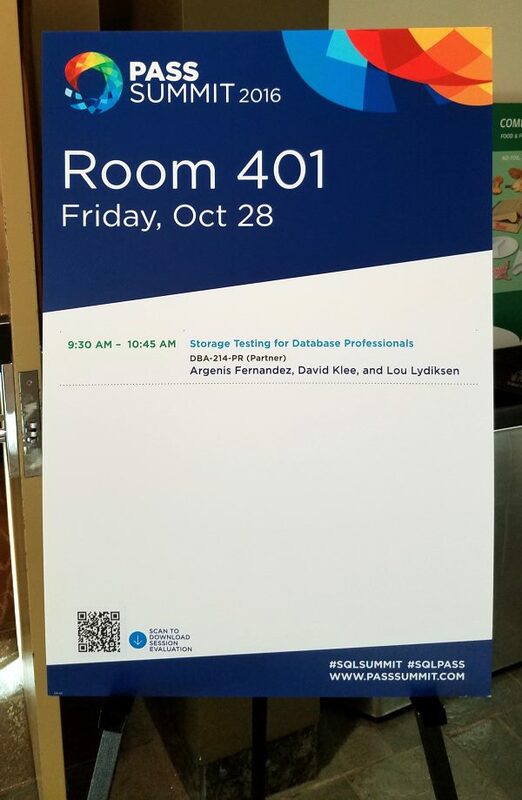 Finally, Friday morning David presented with Argenis Fernandez and Lou Lydiksen from Pure Storage in a session called “Storage Testing for Database Professionals“, where they talked about real-world storage testing and how conventional tools are less accurate than you think. 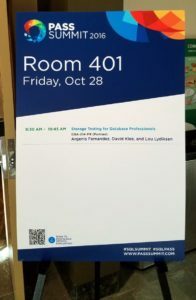 Thanks goes to all of the attendees, sponsors, and volunteers for making this great event a must-attend cornerstone of any database professional’s training calendar. Special thanks goes to the PASS organization, who always go above and beyond to make sure this event is truly special. We look forward to being a part of this event next year! Until then, keep learning! In addition to the all-day preconference training session prior to the main event, Heraflux is proud to present two general sessions in this year’s PASS Summit. Virtualizing your business-critical SQL Servers should not imply that they will run slower than if they were physical. When properly architected and managed, virtual SQL Servers should be equally as fast as their physical counterparts, if not faster. However, if not properly constructed, silent and seemingly random performance killers can strike and significantly hurt your database performance. The second general session is a deep-dive on storage performance with Argenis Fernandez and Lou Lydiksen of Pure Storage entitled “Storage Testing for Database Professionals“. More and more Database Professionals are tasked with performing testing and validation of storage devices and surrounding infrastructure to be used for database workloads they support. In this session we will give you all the tools you need to be effective at performing such testing and validation. We will argue pros and cons of synthetic testing. Tools like DiskSpd and VDBench will be discussed, along with SQL Server-specific tools to test real workloads like Distributed Replay and RML utilities. Links to tools and pre-packaged scripts will be provided. Register for this amazing event today! 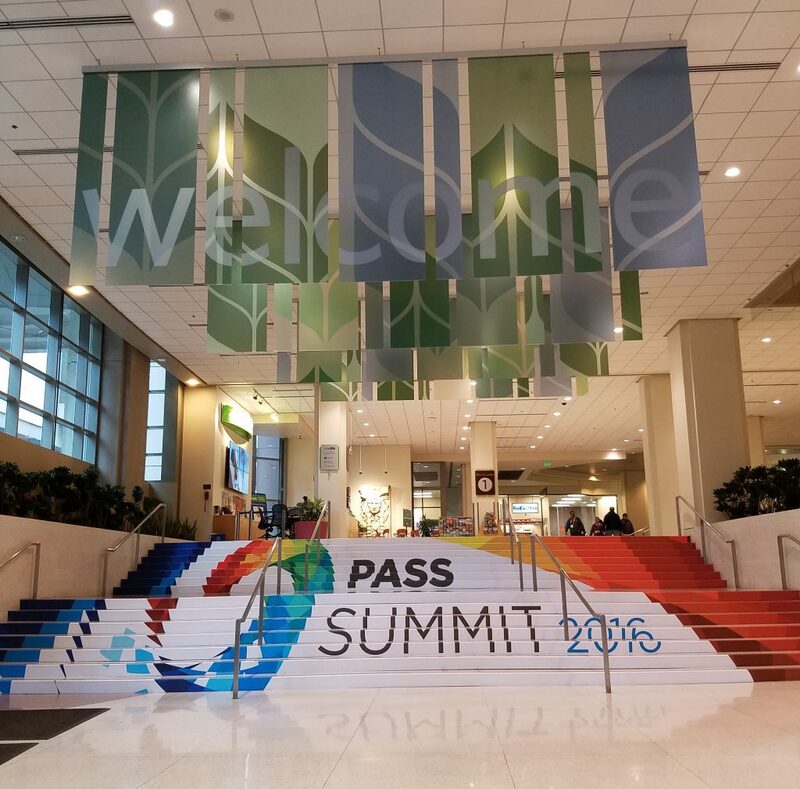 Heraflux is very honored to be speaking at the PASS Global Summit again this year in Seattle during the week of October 24th. The first session being presented is an all-day preconference training session on Tuesday, October 25th entitled “The Complete Primer to SQL Server Virtualization“. Your SQL Servers are probably virtualized at this point, but do you feel you have lost that control over the infrastructure that you used to have when they were physical servers? Do the virtual SQL Servers “feel” slower after they were virtualized? When architected and managed with SQL Server in mind, this added layer will help improve the SQL Server’s availability and ability to change with the business, but only when executed properly. Register for this exciting conference today! Heraflux is honored to be speaking at the PASS Global Summit again this year in Seattle during the week of October 24th. David Klee is presenting two sessions on our favorite topic – the convergence of infrastructure and data. We have a special discount code for you if you have not already registered for this exciting class! Heraflux is honored to be speaking at the PASS Global Summit again this year in Seattle during the week of October 24th. David Klee is presenting two sessions on our favorite topic – the convergence of infrastructure and data.